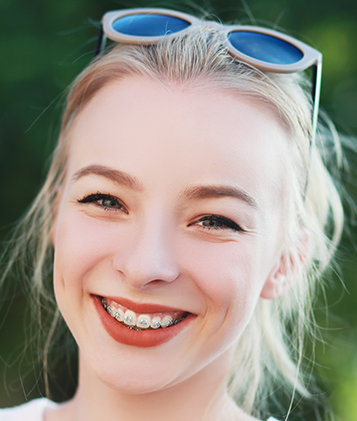 Orthodontics is the branch of dentistry that specializes in the diagnosis, prevention, and treatment of malocclusions, also known as improper bites and facial irregularities. Professional skill is needed to design, apply, and control corrective appliances (like braces) to bring the teeth, lips, and jaws into proper alignment. An orthodontist has specialized training beyond dental school, only practices orthodontics, and treats many more patients than a general dentist that may also place braces. Few investments provide the excellent physical, psychological, and economic benefits of a healthy smile. Other benefits of orthodontic treatment include improvement in cleaning ability of the teeth, decreased injury risk of protruding teeth, improved function, and increased self-confidence due to the improved appearance.